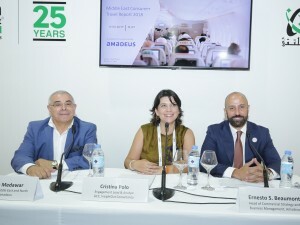 Jazeera Airways has announced a partnership with Amadeus that will open up increased fare options and availability for travel agencies. 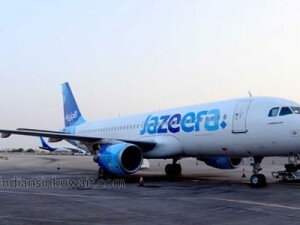 Serving more than 2.2 million passengers a year and flying to 26 destinations, Jazeera Airways strives to be the seamless connection between its customers and their sources of inspiration. By adopting Amadeus’ Global Distribution Services (GDS) solutions, the airline will be well-positioned to provide the best value to customers and agents who book through the Amadeus system, while enjoying streamlined processes throughout several aspects of its operations. This partnership adds to the airline’s agreement with Navitaire, an Amadeus company, to use its customer-centric reservation platform to help drive higher revenues. 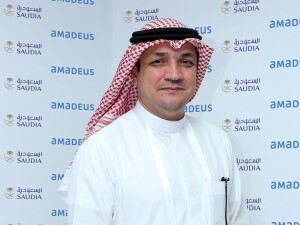 Al Masaood Travel has signed a three-year technology partnership with Amadeus Gulf to retain its competitive edge in the Gulf’s travel industry by enhancing the agency’s operational efficiencies and productivity. The agency’s renewed agreement with Amadeus includes a number of digital solutions to create even higher value for its customers. 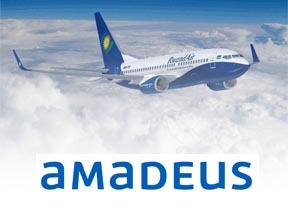 The strategic partnership includes the implementation of Amadeus Ticket Changer, a robust suite of products to apply reissue and refund policies, Amadeus Fare Optimizer for detecting the best available travel fares at any given time, and Amadeus Web Services, allowing the agency to integrate travel-related functionalities into any digital application from a single point of access. Akram Sharaf, General Manager of Al Masaood Travel, said, “Identifying and maximizing opportunities for our customers is our priority. 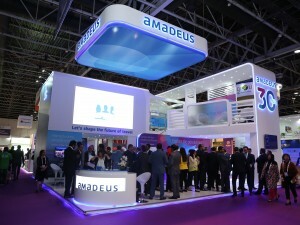 The extension of our partnership with Amadeus reflects this commitment, and will support us as we focus on unsurpassed customer care while expanding into new market segments.” Graham Nichols, Managing Director of Amadeus Gulf, said, “Both travel agencies and their customers want access to simple, easy to use platforms in a digital age. We are pleased to support Al Masaood Travel in delivering on these expectations and creating even more personalized and fulfilling travel experiences in the years ahead.” The agreement comes at a time when Abu Dhabi continues to advance as a regional travel and tourism hub. According to Abu Dhabi’s Department of Culture and Tourism, the UAE’s capital has generated over AED 5 billion of revenue generated from hosting 4.8 million visitors in 2017 . Amadeus has said that it is the first to receive level-3 certification on the latest version (18.1) of New Distribution Capability (NDC) standard. Since 2016, the International Air Transport Association (IATA) has had a certification process in place for the NDC standard, for the different industry stakeholders to show their capability to support NDC messaging. Amadeus has now renewed its level 3 certification for Altéa NDC, which was released in March this year. The version 18.1 is generated based on the new aviation industry data model, which IATA has been working on with Amadeus and other industry partners. This new data model aims to provide a consistent industry repository and methodology to help define the use and structure of new and existing standards. “We’ve been working hand in hand with IATA and other industry partners to test and improve this latest version of the standard, which will help to drive industrialization and adoption. Version 18.1 and the new data model means that NDC messages between airlines and third parties – whether aggregators, travel sellers or corporations – now have a more defined structure. We’re pleased to be the first company to be certified on the 18.1 version, as proof of our ongoing partnership with IATA and our commitment to making NDC work for the industry,” said Gianni Pisanello, VP, NDC-X programme, Amadeus. This certification as an IT provider follows on from Amadeus’ previous level 3 certification as an IT provider and level 1 certification as an aggregator in 2016 and 2017. Amadeus is also on track to achieve level 3 certification as an aggregator later this year. Amadeus has announced the renewal of its partnership with Khimji’s House of Travel, a leading travel agency in Oman. 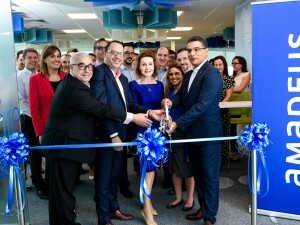 The agency will be able to leverage Amadeus’ flagship products to deliver a superior level of service experience to their customers, making their journeys seamless during the whole trip process. Amadeus will provide Khimji’s House of Travel with solutions such as Amadeus Fare Optimiser, enabling travel agents to discover the best flight fares; Amadeus Online Corporate Traveller to manage corporate travellers, reduce business travel costs, increase policy compliance, and streamline the travel management processes; Amadeus e-Power to drive its online aspirations and provide rich contents 24*7 to customers; and Amadeus Travel Alerts Notifier, which keeps travellers informed about their booking up to their arrival back home, and more. Cashio Vettom, General Manager, Khimji’s House of Travel, said, “With this partnership, we are expanding our core capabilities to provide the best experience to our customers by using automated systems and programmes that increase our own efficiencies. We’re looking forward to sharing the benefits of this partnership with consumers across the Sultanate.” According a recent report revealed by the Colliers International, Oman’s tourism industry is expected to grow by 13 per cent between 2018 and 2021. Unveiled at the Arabian Travel Market, the ‘Middle East Consumer Travel Report 2018’ by Amadeus explores searching and planning habits of the region’s travellers in a digital era. The study suggests that the search for value plays a decisive role in how today’s travellers research, compare and book their journeys in this part of the world. The report acknowledges that the Middle East travel market is incredibly diverse when it comes to travel patterns. Cost is cited most often by travellers (50%) as the first consideration when selecting their accommodation — more important than hotel location, classification, or rating. Similarly, almost half of travellers (46%) cite budget as a main factor when choosing flights, more so than airline reputation and even the itinerary. As a result, one in three (33%) travellers today “actively search” for discounts online during the shopping process. While value is a key driver in travel decisions, consumers in the Middle East are open to being influenced when searching for their destination. However, the expectations from traditional travel advisors are changing, most travellers now visit a travel site or agency when they are ready to book, not when they are still planning their trip.